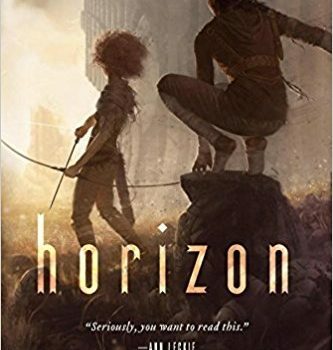 Horizon, Fran Wilde (Tor Books 978-0765377876, $27.99, 416pp, hc). September 2017. Cover by Tommy Arnold. Fran Wilde’s Horizon marks the end of her Bone Universe books – at least for now. 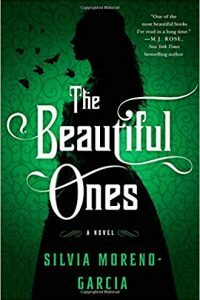 Hori­zon follows last year’s Cloudbound and 2015’s award-winning Updraft for a strong conclusion to this powerful trilogy about bone towers, social upheaval, and building the kind of society you want to live in. Updraft was a novel about uncovering se­crets, challenging injustice, and bringing down hierarchies grown corrupt on their own power. Cloudbound was a novel about consequences, about the political and social conflict that comes with a sudden power vacuum – and about fear, scapegoating, and the destructive effects of fac­tionalism in a fragile society. Horizon? 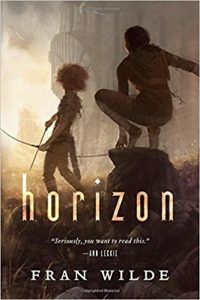 Horizon is a novel about apocalypse. Kirit, Wik, Nat, and Ciel have fallen to the ground, below the clouds. They’ve fallen out of the world they knew, where their constructed wings of bone and hide let them fly, into another one entirely – a world of dust and unknown dangers, full of strangeness. In their fall they’ve discovered the true nature of the city from which they fell. It’s alive. But it’s dying, and in its death it will kill the world Kirit, Nat, and the others knew. Unless they can climb back into the clouds, back up to the high reaches where people live to warn them of the coming catastrophe, everyone they ever knew or cared about will die. As they will die if the warnings aren’t heeded. In the city’s heights, Macal, a tower council­lor, strives to hold his tower together in the face of increasing shortages of food and trust, as two separate factions of violence-prone “black­wings” compete for resources. 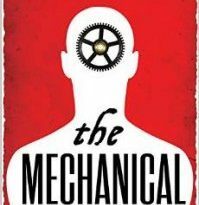 Macal tries to achieve consensus, and tries to figure out what’s physically wrong with the city, but he doesn’t realise that all his efforts are doomed unless he can physically evacuate all the tower residents below the clouds – to a world that he doesn’t even know exists. Not, at least, until Nat and Ciel climb back up, bringing the terrible news of the city’s fate, and a short timetable for survival. Nat’s main concern is his family: his mother Elna, his partners Beliak and Ceetcee and their infant child. He’s willing to sacrifice anything for their safety, including himself. Kirit and Wik, meanwhile, have set out to find a safe place for the city’s inhabitants to evacuate to. The ground is a sunless desert, the sky obscured by a haze, and other people live there, people that have different ways and goals, and with whom neither Kirit nor Wik can communicate. They need to find a way forward, to build a future on hope and trust and collaboration, rather than lies – but that’s going to be difficult, because the power-hungry magister Dix has reached the ground ahead of them, and may have already poisoned the well for future co-operation rather than conflict. 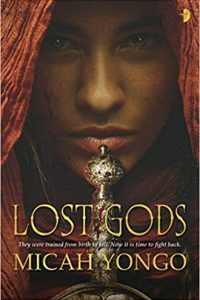 As Nat and Macal deal with factions in the clouds and the tensions of evacuating a whole society, and Kirit and Wik try to navigate through the minefield of new and strange perils on the ground – and navigate first contact with a com­pletely different culture, too – they must come to terms with the destruction of their old world. Horizon makes social collapse literal, bringing Kirit and Nat’s city crashing down in totalising destruction. Out of that destruction, Horizon finds hope and co-operation, friction and strife but also community. Horizon is apocalyptic in its visions of destruction, but it is apocalyptic in another way, too: Horizon gives us apocalypse as revelation of truths long hidden or forgotten, a re-visioning of society. Horizon doesn’t so much turn from destruction to renewal as it sees destruction and renewal going hand in hand – and that makes it a really hopeful book. Though Horizon sometimes stumbles on its pacing – and while it could use a more gener­ous helping of humour, or at least interpersonal banter, to leaven its unrelentingly serious tone – it features compelling characters in a fascinating world. It ends with hope and rebuilding: building differently. It’s a worthy and gripping conclusion to the trilogy.